I am 47 years old. My house is built beside that of my parents’ which means I have lived in the same village for 34 years. Last Monday, I embarked on an adventure, to travel Europe alone. I will eventually meet my friends but, going there, I will be alone. Many of you know I travel whenever I can but I have never travelled alone and never outside Asia. Well, these are circumstantial matters since most of my travels are work related. Some are for vacation but never was I ever alone, unless it’s inside the Philippines and less than 200 kms. away from home. So, I have never been far from home. I have always been tied and connected to my household. I am the youngest, child anyhow. Am I not entitled to that? Hahaha! Which brings me to my realization. It seems my family still cherish the fact that I am still a child in their eyes. An hour before my departure, my family gathered in my living room taking about everything and nothing. From my baggage, how I packed it, things to remember, my flight schedule, how early I should be in the airport to check-in, blah, blah, blah and to all things in between. It was incredible. I do not remember one single event in our lives, well, except for my Father’s heart surgery, when we all sat down to chat. Thus, my conclusion: My family was either anxious about my trip, or they were really excited to see me go! Hahaha! Nah. If I know my family, they were scared about their wits! While I knew that, it touched me. Departures and changes, though temporary, bring families and teams together — that is, to touch before the fleeting moment is gone, especially when the outcome is certainly beyond one’a control. We are such creature of habits… and uncertainties can bring out the best in us. 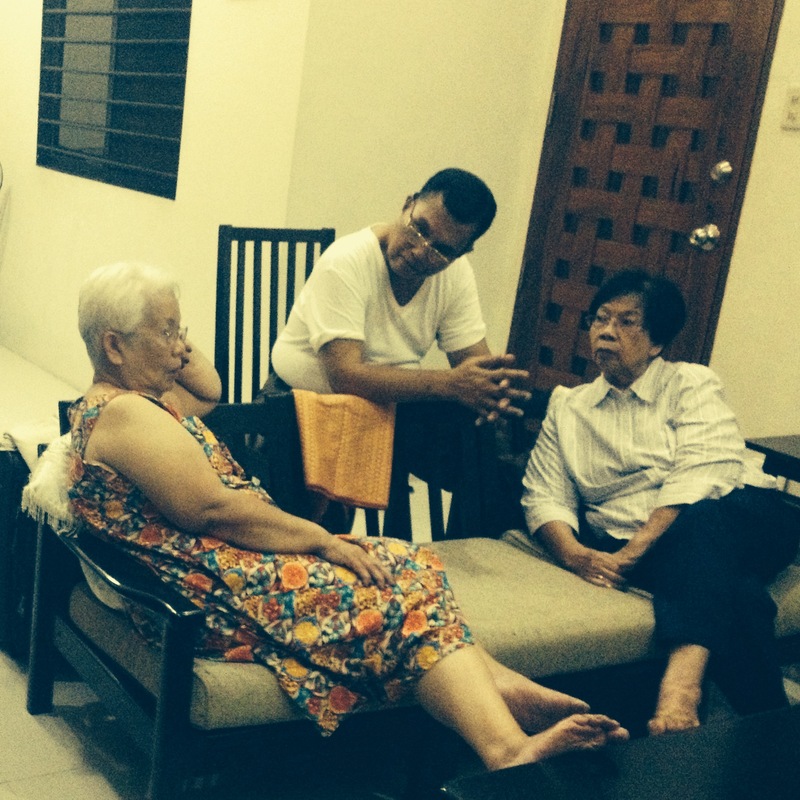 So, before I left for my great, big lakwatsa (or stroll), they were there, gathered in my small, simple living room, absent of interior decor, but enriched by my family’s touch. They sent me off to Spain creating another great memory for me. One can never have enough of family. This is awesome. I was moved. It’s a good read while having breakfast. Haha. I’ll wait for more! 🙂 This is really good ate.